Are you spending more time trying to manage your books than you are your business? Getting bogged down with your payroll because it’s both time consuming and confusing? Do you want experienced professional to handle your accounting tasks, but can’t afford a full-time CPA? You will be attracted by the cost and you’ll be amazed by the quality. Since the accounting can be handled offsite, we can pass on incredible savings to our clients. Comprehensive Tax, Accounting and Payroll Services – customized to your needs. We can have you ready for year-end with our sound tax planning. We offer federal, state, city, and county income tax preparation as well as transfer price analysis. Accounting services include sales, cost accounting, inventory & profitability reporting. Payroll, benefits and human resource management services available. At Paul Joseph CPA, accounting & taxation is a specialty. We are determined to help our clients pay the lowest amount of Income Tax permissible by law – we do that by indicating to you in advance all the benefits allowed by the tax laws so that you can take necessary action. We are well-versed in preparation of Tax Returns for individuals and businesses (Corporations, Partnerships and Sole proprietorships) – we can assist you in Federal, State and Local tax returns. All business need robust and stable Financial Accounting practices in place - it is a vital strategic and evaluation tool for any business. We offer assistance in financial statement preparation utilizing Accounting Software Programs or act as an off-site Consultant to manage and to offer advice on your self-generated financial information. Mediation has become a popular forum for the resolution of disputes. We have the skills and expertise to assist our clients in bringing disputes to an amicable resolution based on terms they have crafted. The process addresses the emotional aspects to a disagreement as well as the financial aspects. We offer our services to assist in court ordered mediation, after a lawsuit has been filed, and facilitative mediation, that our client may take up prior to filing of a lawsuit. Arbitration in some ways is similar to mediation. The distinguishing factor being who ultimately determines the resolution. In arbitration, both disputing parties present their position and a neutral third party makes a decision. Arbitration is sometimes referred to as an alternate court system. Our services can be availed for court ordered arbitration and pre-litigation arbitration. Be it Litigation, Mediation, Arbitration or regular Business operations Financial Discovery can be utilized to determine the monetary components of the dispute. We have proven competence in requesting and reviewing the pieces of financial information that are important in a dispute or misappropriation setting. Litigation Support is provided to attorneys and their clients in a lawsuit situation. We have experience in the calculation of damages, testifying as an expert witness, deposing opposing expert witnesses, review of data obtained during discovery, determination of discovery data requests, tax effect of settlements and identification of the assets of a marital estate. Whatever your financial goal, we can assist you by providing the data you need - be it planning for educational needs, parent's medical expenses and personal retirement goals. Those are just a few of the areas in which we can be of assistance. We ensure that you take the most tax-effective route to achieve your financial goal. Succession Planning is essential for smooth long-term business operations and stability in small to medium size businesses, especially those that are family owned. There are many emotional and financial aspects that come into play when business ownership interests change hands. We help you determine the mechanisms for paying less or no tax on a business transfer. But more importantly, we mediate the handing over of “reins” from one generation to another with the least turbulence. A Business Acquisition or Disposal may involve the single biggest financial transaction of an individual's life. In addition to the experience of having facilitated hundreds of such business transactions we are unique in our ability to provide both legal and tax related expertise in the situation. At Paul Joseph, CPA, we offer traditional Accounting services and Financial Consultancy services to Small and Medium-sized businesses. We assist clients to improve their efficiency and profitability by offering a broad range of advisory and support services that are fully equipped to deal with any finance related issue, ranging from the routine to the most difficult ones. Setting up a new business? We'll show you how to make the venture a success: Business Planning, Financial Forecasting, Hiring full-time and/or part-time employees, using Independent Contractors and much more. Our comprehensive software solutions will help to create the plan for smooth and efficient operations. Decisions can make or break your business. 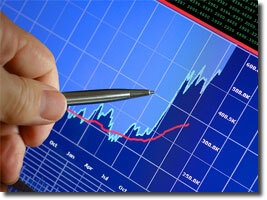 Any Accountant can tell you where your business has been by looking at the financial data. Use our expertise to plan your future and to develop a strategy that will move you to your goals with assurance. Audits happen. We will not only advise you, but will also represent you if your number comes up. Think of us as your hired guns. You may not even have to talk with the IRS. From calculation and preparation of paycheck to filing of payroll tax returns, to setting up your retirement and other benefit plans our services can be availed for your entire payroll processing needs. We can help to make your golden years a very comfortable one. Plan and prepare now to avoid worries later on. We can help you set up retirement plans, IRAs, Roth IRA's and other investment tools to provide for your retirement years.